You can’t let negative energy bring you down when you’re trying to stay positive and motivated to achieve success. And yet, it’s inevitable that there will be people out there hoping to see you fail. 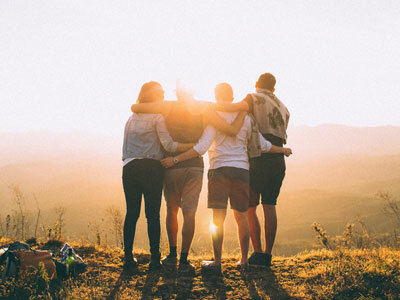 Erin Falconer, author of HOW TO GET SH*T DONE, shares the 7 toxic people to watch out for so that you can be on guard and create a plan to minimize their impact on your mindset. You can find toxic people anywhere, sadly. You might sit next to one at work, have a long-standing frenemy relationship with one, or, worst of all, have one in your family. You know you have a toxic person in your life because you’ll often feel drained after spending time with them. You feel anxious around them and worry about their moods. Sometimes you even find yourself mirroring their behavior. To sum up: these people are poison. Luckily, though, they’re pretty easy to spot. You never know what you’re going to get with this person. One day she’s cracking jokes and listening with interest to your stories about your weekend. But the next day she’s a black cloud in a dress. You wonder if you’ve done something to offend her. Pretty soon you realize you’re walking on eggshells during every encounter. Victims are tricky. You’re likely to feel sorry for them at first and be drawn into their troubles. You’ll want to be helpful and supportive. But you soon realize that nothing is ever this person’s responsibility. The world is unfair to the victim and if you’re going to have a relationship with this person you have to be prepared for the constant support they need. Plus, it’s only a matter of time before they feel victimized by you. This person’s weapon of choice is their disdain. They move through life like an eye-roll emoji. Every idea put forward is dumb, no plan being created will ever work. Don’t expect this person to offer their own suggestions. She’s not a risk taker and she doesn’t want you to be either. This person is a scorekeeper and things are never in their favor enough. In this person’s world, there isn’t enough to go around. You won’t see this person cheering a friend or colleague’s success—they’re too busy wondering why they didn’t get that promotion or opportunity. This can be a tricky person to get a handle on. Passive-aggressives use emotions subtly to control others. If you’re working on a project with this person and her idea doesn’t get chosen, rather than move on or express disappointment, she will quietly stew, and then resist progress through being late to meetings or misplacing materials. If you ask her what’s wrong, she’ll say, “Nothing,” but you’ll continue to feel her low-level anger. At first, the gossip can be a fun friend or workmate. They seem to know everything about everyone and, let’s be honest, who doesn’t like to have the inside scoop? But it doesn’t take long to realize this person takes a little too much pleasure in the misfortune of others. How long until it’s your shortcomings being dissected? This person complains. A lot. But they express their negativity and paranoia with such confidence you can start to ask yourself if you’re seeing things clearly. Maybe your boss is trying to undermine everyone on staff. 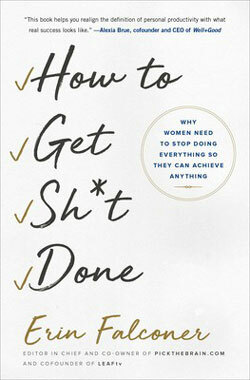 Find out how to motivate yourself in HOW TO GET Sh*T DONE by Erin Falconer! Now that you know what to watch out for, here’s how to remove toxic people from your life. Excerpted from How to Get Sh*t Done by Erin Falconer Copyright © 2019 by the author. Used by permission of the publisher. All rights reserved. From the editor-in-chief and co-owner of the highly respected self-improvement site Pick the Brain comes an inspirational guide for overscheduled, overwhelmed women on how to do less so that they can achieve more. Women live in a state of constant guilt: that we’re not doing enough, that we’re not good enough, that we can’t keep up. If we’re not climbing the corporate ladder, building our side hustle, preparing home-cooked meals, tucking the kids in at night, meditating daily, and scheduling playdates, date nights, and girls’ nights every week, we feel like we’re not living our best lives. 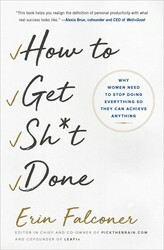 Yet traditional productivity books—written by men—barely touch on the tangle of cultural pressures that women feel when facing down a to-do list. Now, Erin Falconer will show you how to do less—a lot less. In fact, How to Get Sh*t Done will teach you how to zero in on the three areas of your life where you want to excel, and then it will show you how to off-load, outsource, or just stop giving a damn about the rest. As the founder of two technology start-ups and one of Refinery29’s Top 10 Women Changing the Digital Landscape for Good, Erin has seen what happens when women chase an outdated, patriarchal model of productivity, and now she shows you how even the most intense perfectionist among us can tap into our inner free spirit and learn to feel like badasses.